With endless hours of daylight, fresh air and majestic views, Alaska is the perfect destination for al fresco summer dining. No matter which Princess lodge you visit, options for outdoor dining are plentiful in the Last Frontier. Read on for a few highlights! While visiting Fairbanks, hit the deck at dinnertime and enjoy the view of the nearby Chena River. Both the Edgewater Dining Room and Trackers Bar & Grill at the Fairbanks Princess Riverside Lodge serve breakfast, lunch and dinner on an outdoor patio. Sit riverside and soak up the sun while enjoying a made-to-order omelet or slice of savory reindeer sausage. For dinner, enjoy delicious Alaska seafood such as the Whiskey Planked Salmon, which is served with roasted fingerling potatoes and fresh vegetables and is perfectly paired with a pint of Alaskan Brewing Co. White Wheat Ale. For those who want to eat Alaska Grown, you’ll be happy to know that both restaurants source fresh produce from local farms. If your travels are taking you to the Mt. McKinley Princess Wilderness Lodge, you won’t want to miss one of the state’s most impressive decks just outside of the lodge’s lobby. Start your day off with a cup of hot coffee and enjoy Baked Blueberry French Toast from the Mountain View Dining Room, which boasts spectacular views of Denali. The lodge’s 20,320 Alaskan Grill serves tasty soups, salads, sandwiches and pizzas – and only 40 miles from the 20,320-foot Denali, the tallest mountain in North America! The Mt. McKinley Princess Wilderness Lodge also offers travelers a smaller fireside patio that features several stone fire rings and plenty of fireside seating so that you can enjoy the outdoors even when the weather cools. This smaller patio offers food and drink for purchase, including pre-assembled smores kits, hot cocoa and Arctic Coffee made with Irish whiskey and sweet Irish cream. 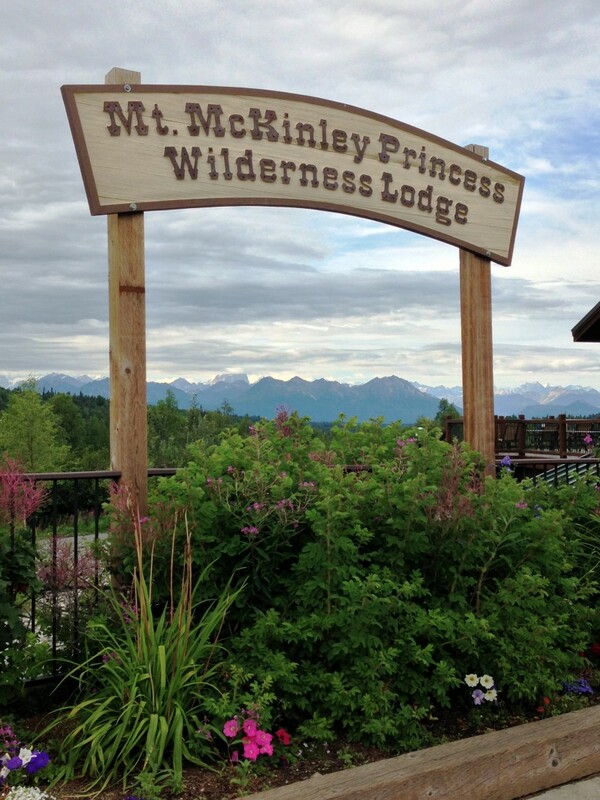 At the Kenai Princess Wilderness Lodge, an expansive deck offers scenic views of the Kenai River Valley, nearby mountains and the dazzling blue water of the Kenai River. After a successful day of fishing or hiking, enjoy dinner and drinks on their expansive deck and savor summer in the Land of the Midnight Sun.